Last season Renault finished fourth in the championship, pipping Haas to the ‘best of the rest’ tag. This year, although only just two races into the season, they find themselves behind Alfa Romeo, McLaren and Haas in the standings. 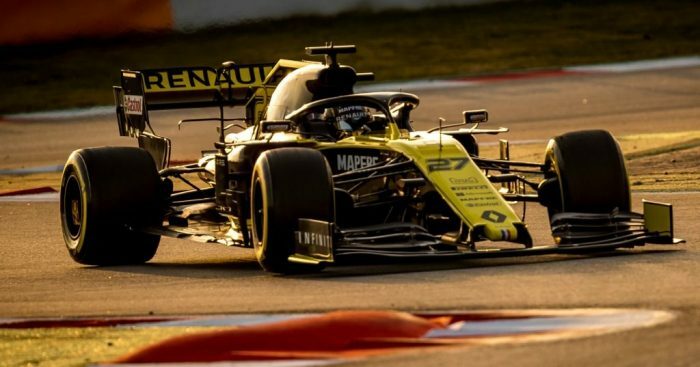 Their performances have backed up pre-season claims by Daniel Ricciardo that there was “no hard evidence” that Renault would lead the midfield race. One big issue they have, according to Hulkenberg, is that they haven’t managed to eradicate last year’s weaknesses with their new RS19. He told Autosport: “We have improved on a couple of things and definitely I think the engine side has improved quite a lot over the winter. “Obviously [in Bahrain qualifying] we had a problem related with that, but I think that was a special case. The engine side has improved a lot. “I think car and chassis aero-wise, we worked over the winter but we still have similar problems. Ricciardo recently revealed that he is struggling to adapt to the Renault after years in the Red Bull. Asked about his team-mate’s comments, Hulkenber said: “We’ve worked on the ride over the winter too. “Obviously I think he [Ricciardo] comes from a spoilt car, so he has to reset a little bit and the references are a bit different. “But it’s good to have that kind of feedback.